It may be March, but here in the Northeastern U.S., spring is still elusive. Bulbs have started to poke through the firm soil, but they are still over a month from blooming. Even once the official start to spring rolls around, everything where I live will still look very much as it did in the middle of winter—barren, grey, and spare. I could sit and brood, longing for springtime, but instead I’ve decided to start spring early—indoors—by jamming the windowsills with the fast and incredibly fragrant paperwhite narcissus. 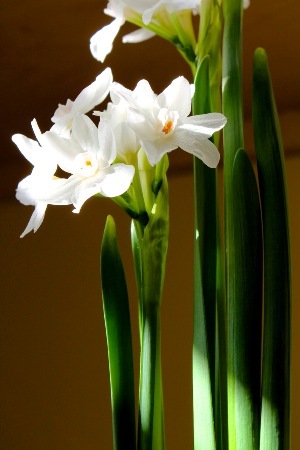 Paperwhites are among the easiest and most rewarding of flowering bulbs to grow indoors. 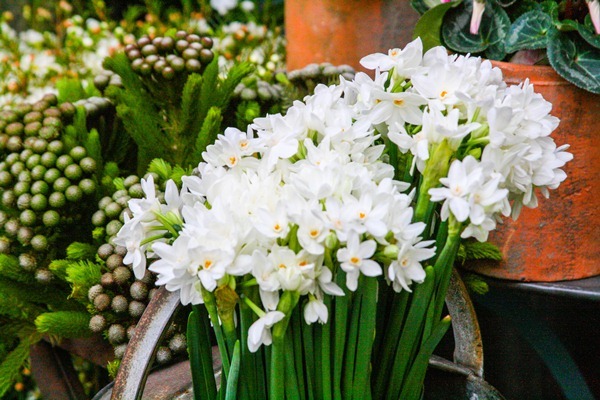 They often flower within two to three weeks of starting the bulbs, and for almost no effort, they reward you with clusters of incredibly fragrant, snow white blossoms that easily fill a room with their rich, indolic fragrance. 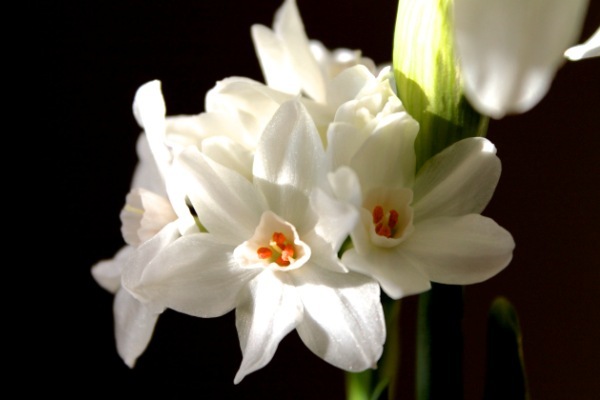 Even if you have never smelled narcissus before, the scent of paperwhites immediately evokes springtime, with a heady white floral perfume that is accented by chilly earthiness and fresh, green touches. It takes just a few minutes to start growing paperwhite bulbs, and once started, they require no special care. Some bright light and plenty of water are about all they demand. Paperwhites are more commonly grown around Christmastime, but I like growing them at this time of the year because they are sold at highly discounted prices. This is due to the fact that garden shops try to sell them before introducing new spring stock. I was able to find mine for about fifteen cents per bulb, from the same shop that had sold them for about a dollar each this past December. When shopping for your bulbs, look for bulbs that appear plump and firm. Bulbs that are soft and shriveled may be rotting or damaged, and will not produce vigorous growth. If there are green shoots growing out of the top of the bulb, they should be tight and only an inch or two long at most. Once you have your paperwhite bulbs, all you will need to begin growing is a bowl or vase (without drainage holes) to grow the bulbs in and ”soil”, which in the case of paperwhites is not soil at all. Instead, paperwhites are best grown atop coarse pebbles or small stones. I picked up some smooth, polished pebbles from a craft store, which work very well, but you could also use marbles, glass beads, or anything similar. The container you choose to grow your bulbs in is entirely up to you, and is limited only by your imagination. Glass vase? Teacup? Dessert bowl? These are just a few ideas. 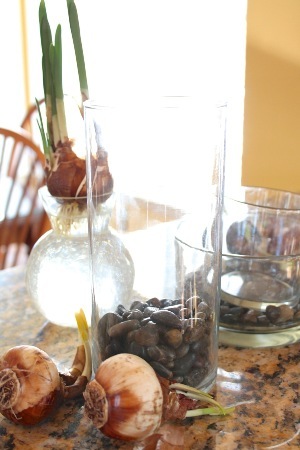 I like to use cylindrical glass vases for my paperwhites, because they perform two practical functions, one being that they allow light to pass through to the growing bulb, and the other that the sides of the vase offer support to the leaves of the plant, since paperwhites have a tendency to grow very tall and flop over. Another consideration is that blooming paperwhites look very impressive when grouped together, so growing in a bowl, which allows enough space for many bulbs, is also a good option. No matter how you choose to grow your paperwhites though, it is a great pleasure. 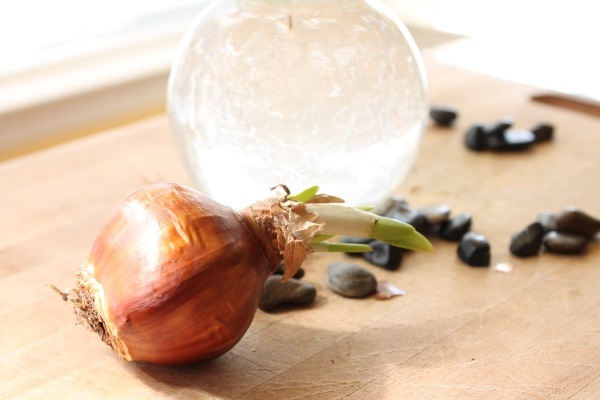 Follow the step-by-step tutorial below to learn how to grow these easy, fragrant, and rewarding bulbs. First, place your choice of pebbles into the container, at least a few inches deep. Depending upon the container you are using, you may also fill the container up to within about an inch of the rim, so that the bulb will sit somewhat below the edge. Next, place your bulb, pointed end up, atop the pebbles. Then add some more pebbles, so that the bulb is anchored in place, but the tip is still uncovered.. If you are using a shallow dish or bowl to group your paperwhites, don’t be afraid to pack the bulbs in as closely as you can, filling the dish. This will create a display that looks full and attractive. 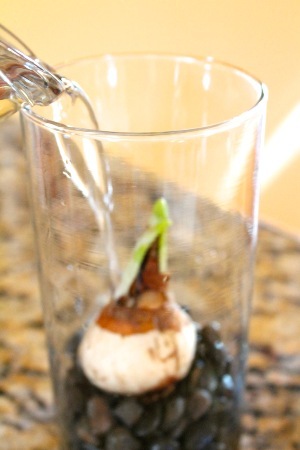 Next, simply pour water into your container, so that the base of the bulb is submerged in water, but the rest is dry. If the bulb is covered in too much water, it is likely to rot. Next, place your paperwhite in a nice, bright location. An east or south-facing window works best. Make sure to maintain the water level as the bulb grows. 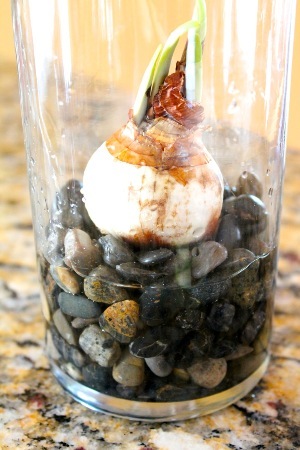 This is especially crucial during the first week or so of growing, before the bulb grows roots. 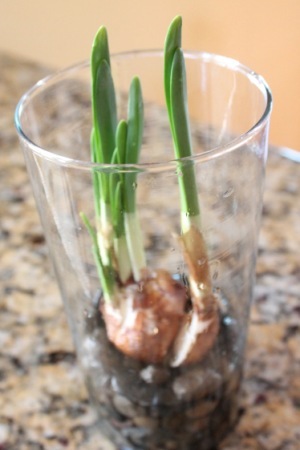 Once you see roots starting to grow out of the base of the bulb (which may take anywhere from a few days to over a week), the leaves will start to grow as well, and within two to three weeks, the paperwhite will bloom. Once in bloom, you may move your paperwhite to a location out of direct sunlight, which will help the flowers to last longer. In most cases, the flowers on your paperwhite should last up to a week or slightly longer. While blooming, be sure to check the water level daily—paperwhites drink up a lot of water, and keeping your plant properly hydrated is essential for long-lasting flowers. After the bulb is finished blooming, it can be composted or otherwise discarded. Note: Once you start growing paperwhites, you may notice their annoying habit of flopping over, as they can grow quite tall. 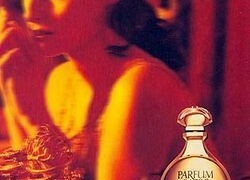 This article discusses an ingenious technique that involves watering with an alcohol solution to prevent this from happening. 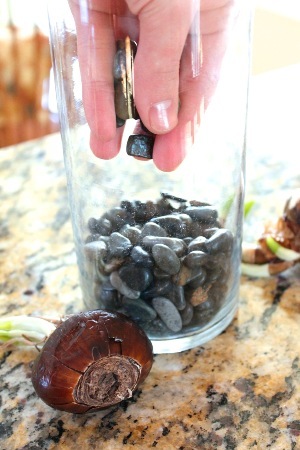 I’ve tried it, and now use it on all my paperwhites—it really works! Photography by Andy Gerber (top image by Bois de Jasmin). Andy: That’s a great tip, Kathryn! Thanks! I think I might try that even on paperwhites that don’t need the support, because it sounds so pretty. I especially love the thought of combining winterberry and paperwhites. Living in Holland it is so easy to find all sorts of bulbflower arrangements in pots, baskets and what have you. People just love getting some splashes of colour inside their houses when everything outside is so cold and grey. Austenfan: From April to June. Tulips flower quite a bit later than crocuses and even daffodils. It might all happen a little later this year because of the cold. The area between roughly Amsterdam and Leiden, just behind the dunes, has the most bulb growers. The colours are quite spectacular. Andy: That must be very nice, to have access to so many kinds and varieties of bulbs where you live. Definitely try some paperwhites if you see them around—along with hyacinths, they are one of the most fragrant spring bulbs around—a real treat! Connie: Wow, that was a lot of spelling mistakes. Andy: Yes, make sure to try this—I think you’ll absolutely fall in love with growing paperwhites when the flowers open and fill the room with fragrance. I have some experience growing amaryllis, but I have never experienced the leaf tips browning like that. All I can think of as a cause for that is that, if the tips of the leaves are too close to the light, they might be getting burnt from the high intensity (yes, plants get “sunburn” too!). Amaryllises do need very bright light, but maybe the light is too much. If possible, I would move the amaryllis to a bright, south-facing window, as amaryllises do best under sunlight. Amer: Lovely article on one of my favorite flowers. Bulbs in general and paperwhites in particular are such a symbol of optimism! Andy: I agree, the sight (and smell) of flowering bulbs is a huge mood-lifter! OperaFan: Andy – These are some wonderful tips. My son’s school had the bulbs in their fundraising last fall and I bought some. I actually have mine in a pot (yes, with soil) and they bloomed beautifully. Andy: Paperwhites certainly can be grown in soil without a problem. The main reason I like growing in pebbles is simply because it is less messy to plant the paperwhites this way.